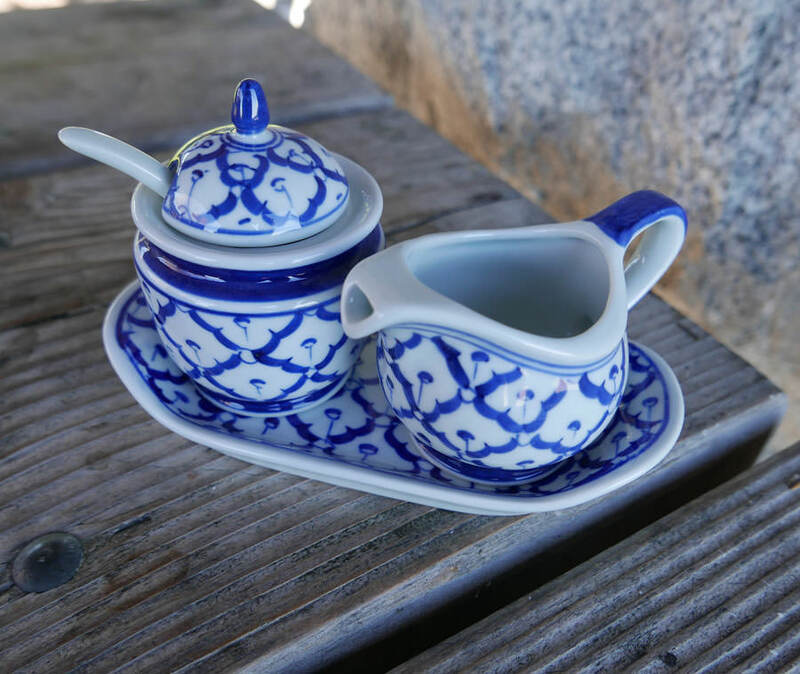 For the coffee and tea lover, this Thai set is a real treasure. Included are the dish, a bowl and soon for sugar, lid for the sugar bowl, and a little pitcher for cream. All handpainted in the traditional Thai design.